Diamond engagement rings are beautiful, shiny and always desired. However, we would be much happier if they were a little less pricey! Fortunately, diamonds are not the only shiny lovely things around: they do have competition, serious competition from alternative stones. When we look at the list of contenders to diamond’s throne, cubic zirconia stands out. Often compared to white sapphire and moissanite, CZ stones have their place in a jewelry selection thanks to their shiny look and affordable price tag. It has similar physical properties to diamond and offers some more. Now let’s enter the lustrous world of cubic zirconia. What is the meaning of zirconia? How is a cubic zirconia made? What are different colors of cubic zirconia? a. What is cubic zirconia? Cubic Zirconia(CZ) is a human-made alternative to diamonds. And, with no surprise, it is a more approachable choice price wise. 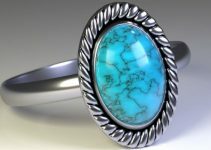 Although theoretically found in nature, it is very very rare thus in practice, all jewelry items you see made of these stones, are fruits of lab work. CZ stones are comprised of an amalgamation of calcium, magnesium and pure zirconium oxide powder. In order to create the “perfect” stone, all ingredients are controlled and additives are often used to reach the diamond appearance. With the addition of dopants, it is even possible to achieve various colors ranging from yellow to green, from pink to purple. b. What is the meaning of zirconia? Zirconia is another word for zirconium dioxide. The element Zirconium sits at the cell number 40 in the atomic table. Zirconia is one of its oxides, which is colorless/white-colored making it a candidate for a diamond alternative. c. How is a cubic zirconia made? The journey leading to cubic zirconia starts with zirconium oxide. Zirconium oxide is naturally occurring in the very rare mineral baddeleyite, which was first seen in the early 1880s, which wasn’t considered that significant. In fact, it wasn’t until the mid-1900s when scientists discovered it included microscopic quantities and could be useful in laser technology. From there, scientists worked to develop a synthetic cubic form of the element with a melting point beyond 2,000 degrees Celsius. This process was perfected by the Russians in the 1970s, who realized a stabilizer was needed to ensure the final stone retained its shape. Until that point, the stone would return to its original state after heat dissipation returning to room temperature. Shortly after that, people recognized its usage could be extended to a diamond alternative. d. What are different colors of cubic zirconia? During the production phase of CZ stones, every color of the rainbow is obtainable with the addition of the right dopant. It is possible to create stones from yellow to purple, from red to brown in the lab with the correctprocess. For example, if you’d like green cz stones, your dopant should be chromium or vanadium. If you use copper as dopant in the crystal structure of CZ then you’ll end up with yellow-aqua stones. In the photogragh below, you can see a selection of sterling silver jewelry with CZ stones of various colors. Many people choose cubic zirconia jewelry because they are affordable. After all, insisting on diamond can quickly break the bank! While the “D” gemstones can run in the thousands to tens of thousands of dollars compared to the tens to hundreds of dollars of the price tag of these items. • Color – Colorless as possible. Precious stones with a tint are graded lower. • Clarity – Stones with fewer imperfections offer higher clarity and receive a higher price tag. • Carat – Carat is the measurement of the mass of stone expressed in carat weight. The equivalent of one carat into grams is 0.2 grams or 200 milligrams. The heavier the carat weight of the diamond, the higher the value, if all other characteristics are equal. For further information, you may want to have a look at our diamond appraisal post. CZ is a type of zirconium oxide crystal, which is used to make all sorts of jewelry such as necklaces, earrings, and especially, engagement and wedding rings. As it is often compared to (and confused with) diamonds, let’s look at CZ side by side with first diamonds and other notable alternatives. 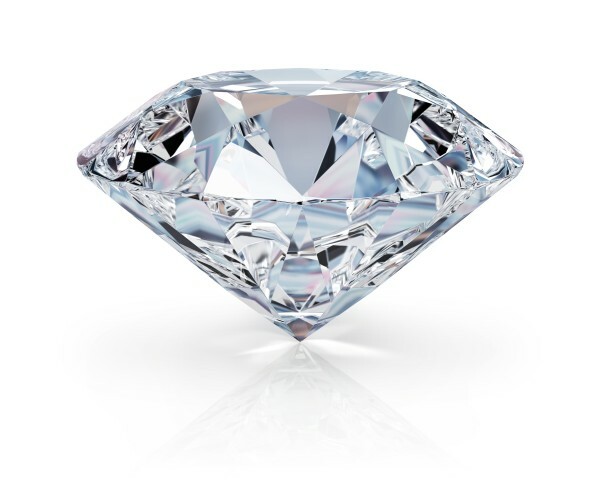 Both CZ stones and diamonds both rank up high on the hardness scale, diamond coming on top. It is more dense than diamond and comparing stones with similar volume, is the easiest way to distinguish between diamond and CZ, which will come out much heavier. It also holds a higher dispersion, meaning it has a higher performance while diffraction white light. Precious sapphire gemstone isolated on white. Cubic zirconia and moissanite, they don’t only look very similar; they also have their origin in common: the lab! 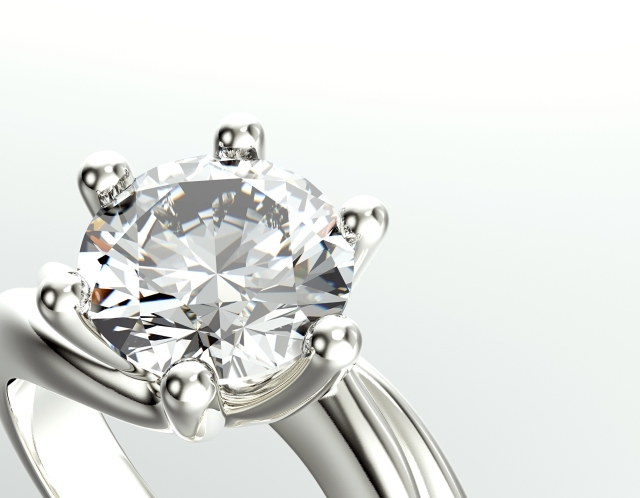 Although both found in nature, in today’s jewelry market, nearly all CZ and moissanite stones are artificially made. They are both very good diamond simulants, both offering more approachable price tags. Moissanite is a silicon carbide based stone, which has a higher hardness than CZ; very close hardness to diamond. Moissanite is more resistant to dust and external effects than CZ, thus it demands less care to keep it clean and shiny for the next time. CZ stones are nearly perfect in structure thus they have a more brilliant stance. Though, they may look a little “too flawless” when compared to moissanite stones, as neither diamonds are perfect but do carry a certain low imperfection in their crystal structure. Sapphire is a precious gemstone which is most well known for its blue color variant, although it comes in a wide range of colors from green to purple. When we want to compare to cubic zirconia, we’ll take the white sapphire as it the closest color wise. 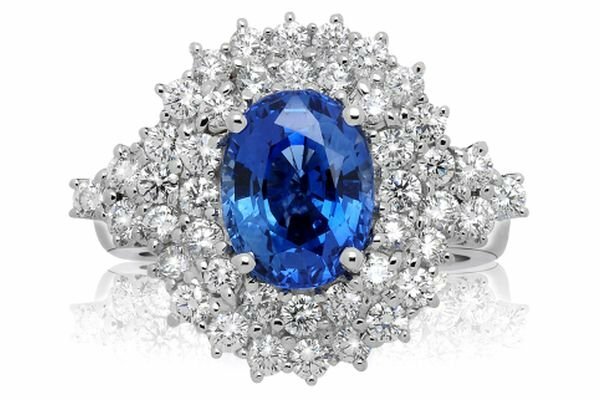 Sapphire is a gemstone with a hardness of 9 which ranks it above CZ and below diamond. White sapphires will keep their transparent color and brightness, while CZ stones can lose their initial look by time. CZ stones have a closer refraction index to diamonds then sapphire, thus they look more brilliant. Sapphire has a hexagonal structure while CZ stones do have, obviously, a cubic crystal formation. To sum up, CZ and white sapphire are very good alternatives to diamond and are both considerable choices when shopping for jewelry. First, zircon is not cubic zirconia and cubic zirconia is not zircon. They look similar; they sound alike, but they are different materials, which have the element zirconium in common. Zircon is a mineral which constitutes a basis for hard and transparent precious stones. Zircon stones are found in many colors, from white to green to purple. And in most examples, they do have a cloudy look which calls for special treatment. In many cases, zircon stones are treated with heat to increase brilliancy and color. It has a refractive index below 2 and a tetragonal crystal structure. Zircon is a gemstone in contrast to CZ, although very rarely found in nature, which is near completely man-made. Another nicely priced diamond alternative is the white topaz. Topaz stones come in many different colors but for the sake of giving diamond alternatives, we’ll focus on the colorless white member of the topaz family. As it is a naturally occurring gemstone, the white topaz may carry some impurities, while CZ stones are lab-made and all perfect. Thus CZ stones are nearly or totally flawless and gives a better refractive performance and brighter look. When it comes to hardness, white topaz is very close to CZ with a hardness score of 8 on the Mohs hardness scale. Like hardness, white topaz and CZ come very close on the price tag too. Both are similarly priced diamond alternatives. While nearly every cubic zirconia is human-made, it is theoretically seen in nature. And through time, it has metaphysical properties attributed by civilizations worldwide. Cubic zirconia’s ruling element is Light, and it is often called the Stone of Ascension and Stone of Practicality. It is said that it can help one to focus, think clearly and alleviate the ego. If you’re constantly faced with obstacles, the stone is said to provide one with a higher sense of environmental awareness. The focal properties inspire people to see through challenging issues with a practical manner. It helps its owner to see the hidden meaning behind the problem in front. CZ aligns with the Crown Chakra, which is linked to higher knowledge. The stone will keep the ego in check, allowing you to alleviate judgment and intimidation. It ensures freedom from the conventions of the material world and allows the acceptance of humbleness and value in human life. This can shift one’s perspective to something more practical. These metaphysical properties also extend to the physical health with assistance in the healing process of certain auto-immune diseases like arthritis, thyroiditis, celiac disease, connective tissue disease and others. To sum up, cubic zirconia, though developed and perfected by man, offers both healing and protective properties in many directions. 3. 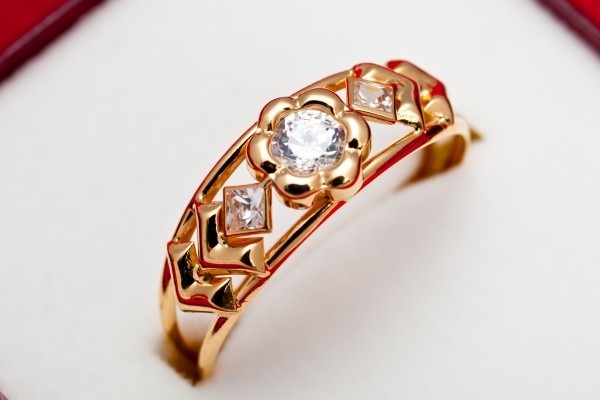 How to take care of Cubic Zirconia jewelry? CZ stones are ranked very high on the Mohs hardness scale. It has a hardness value of 8.5, which is very close to diamond’s 10. While your CZ jewelry’s stones are very resistant to scratches that does not mean you should wear them during gardening or woodworking. Moreover, the metal parts are not as durable as the stones. They may get scratches much more easily. So avoiding physical contact and keeping your jewelry in less risky occasions like chemicals and physical contact is always a good idea. Unfortunately, whatever we may do, dust and dirt may get to our CZ stones. But no worries, a mild soapy water and a soft cloth are usually enough to clean them up. In case of stubborn dirt you may use a soft toothbrush with gentle movements. As usual, finish the cleaning session with completely drying the cz stones and jewelry. Always make sure other gemstones and the metal will be safe from your cleaning process. Cleaning your cz jewelry monthly with a piece of cloth is always a good practice. Diamonds may be a woman’s best friend, but cubic zirconia is a worthwhile, flawless and less-expensive option to get your other half something she’ll remember. However, it’s also important to remember that cubic zirconia is more than just a cheap substitute to diamond. CZ offers many properties that you can see in a diamond and many that are invisible to the eye. * Disclaimer: This article is not medical, psychological, spiritual or financial advice. The usage of objects and application of practices are not endorsements of any specific result, including but not limited to health, personal and corporate finance and relationships. Any beliefs and/or commonly accepted attributions by a part, minority or majority in any mentioned region of the world, may not necessarily be true and deliver the described results for the user’s case.